This stylish, stylized illustration of a Mandarin Duck makes a great gift idea for birders and duck lovers! 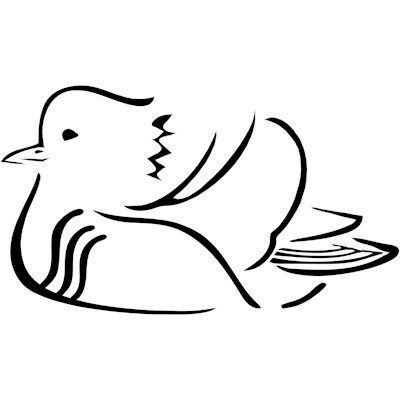 This simple line drawing of the unmistakable Mandarin Duck profile is great for bird lovers! One of the most colorful ducks looks great here in simple black-and-white! To order by phone, call toll-free at 1-877-809-1659 from Monday - Saturday 9:00am - 9:00pm EST. You'll need to note the Product Number 030-240736795 to make your order.